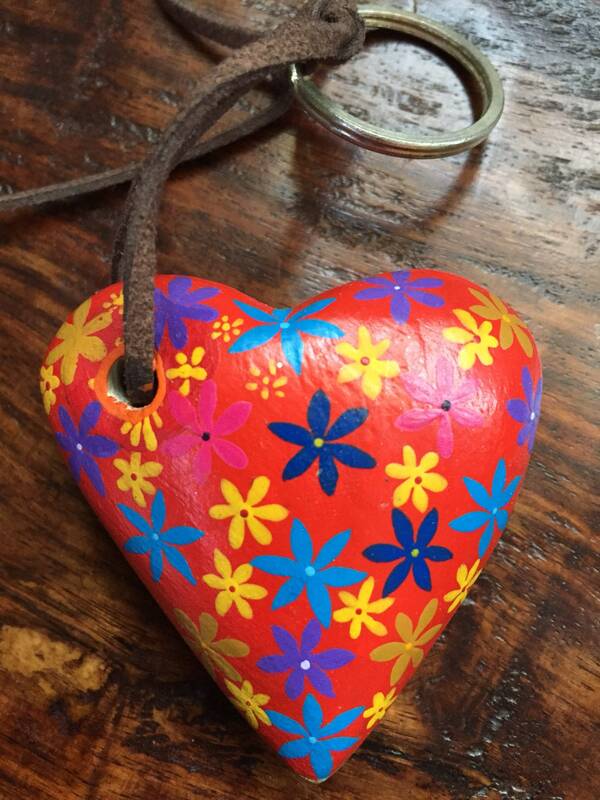 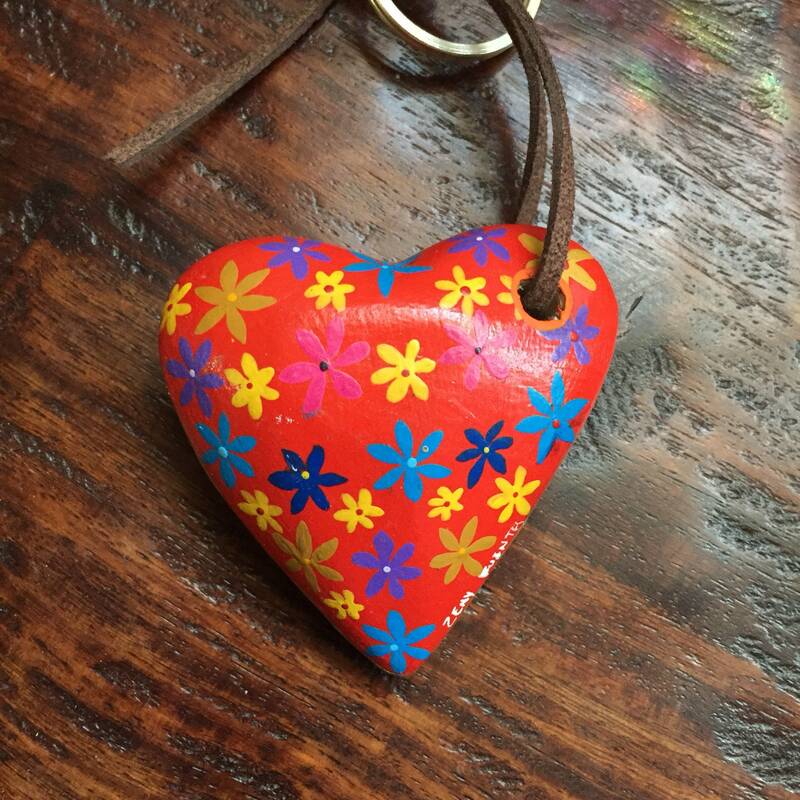 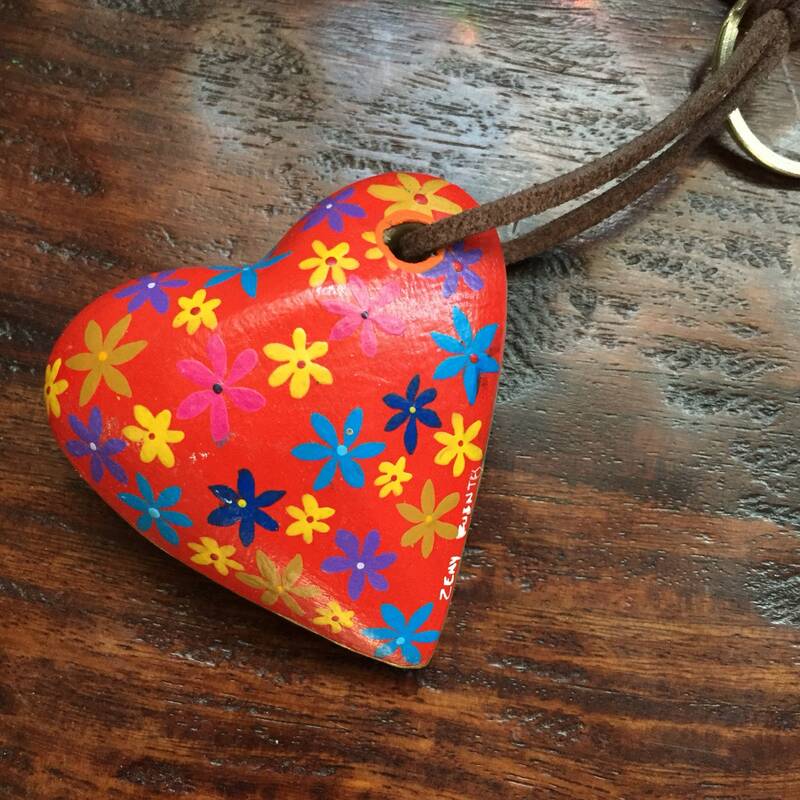 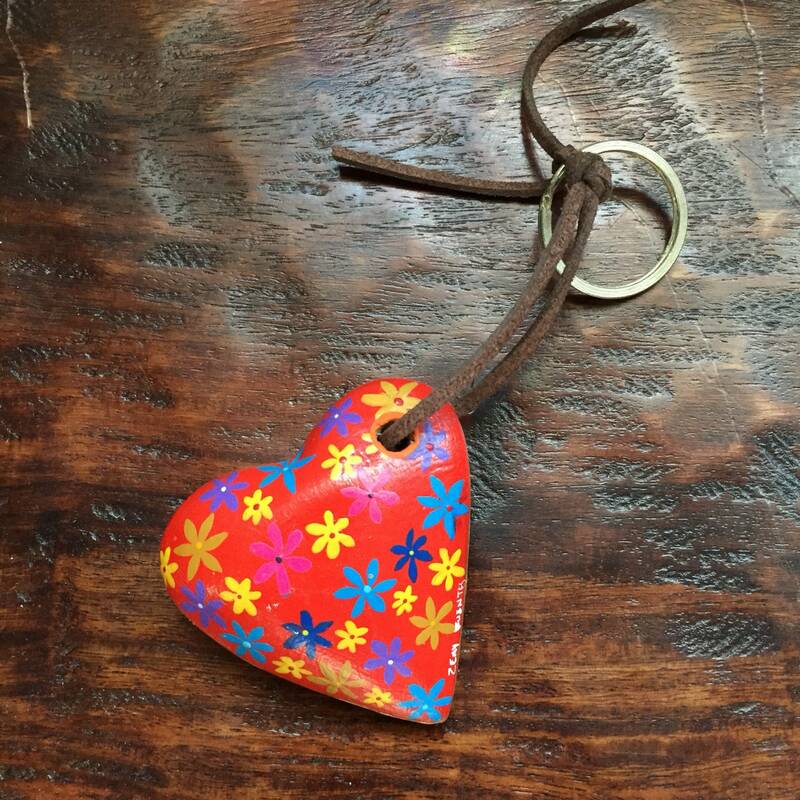 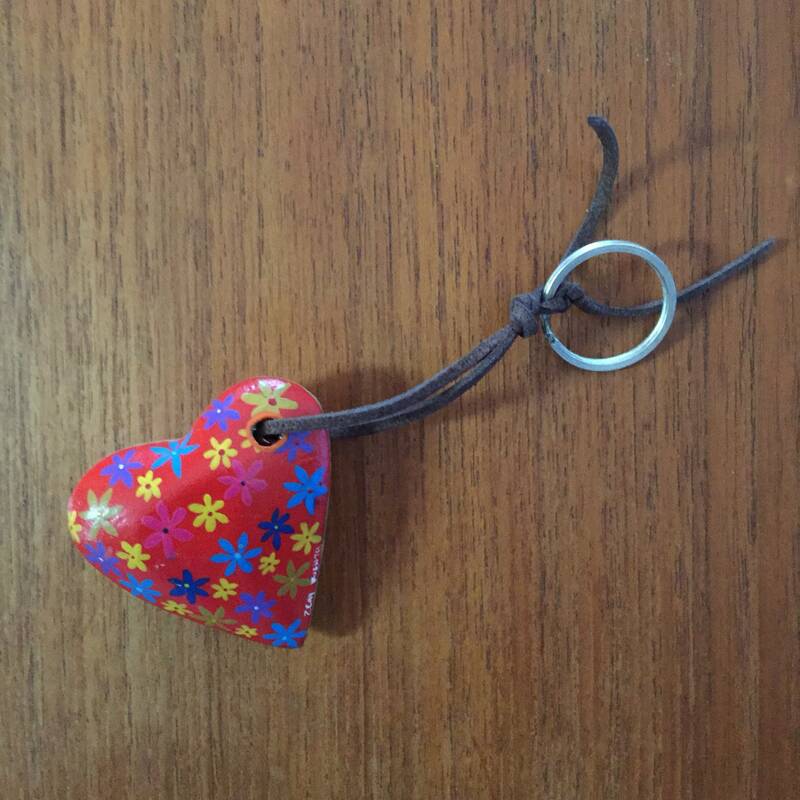 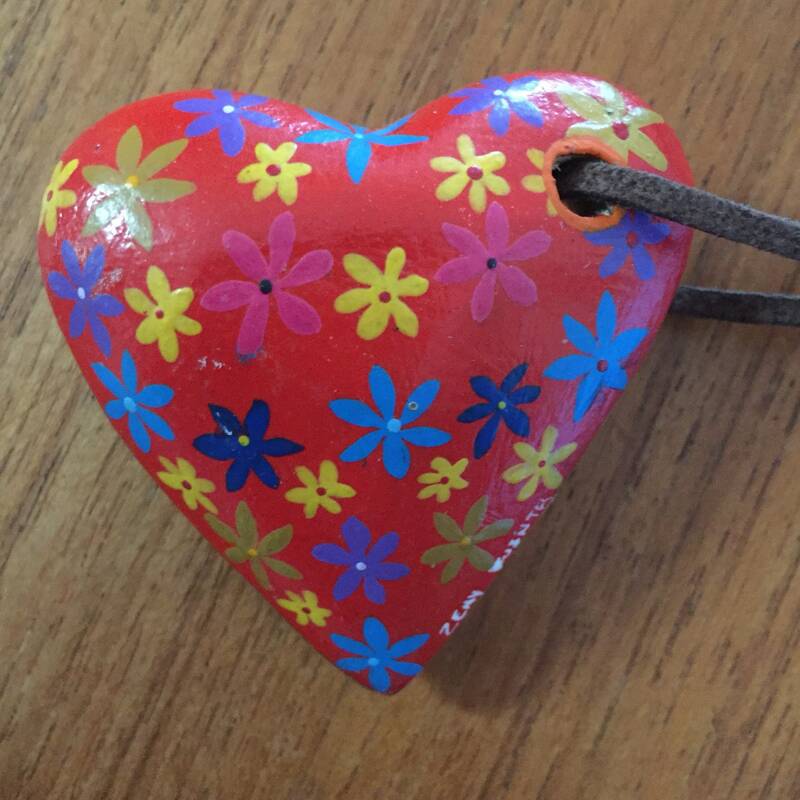 Beautiful hand painted heart keychain. 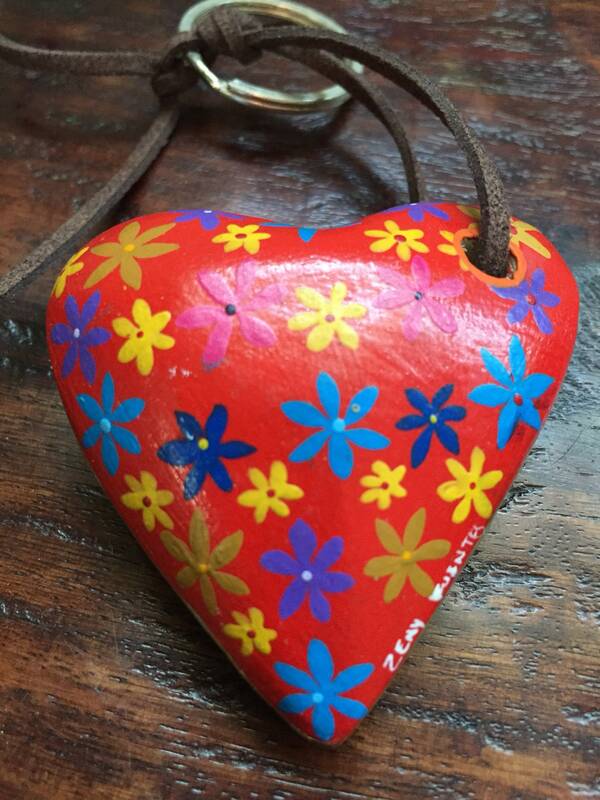 Hand carved from Copal wood from Oaxaca, Mexico. 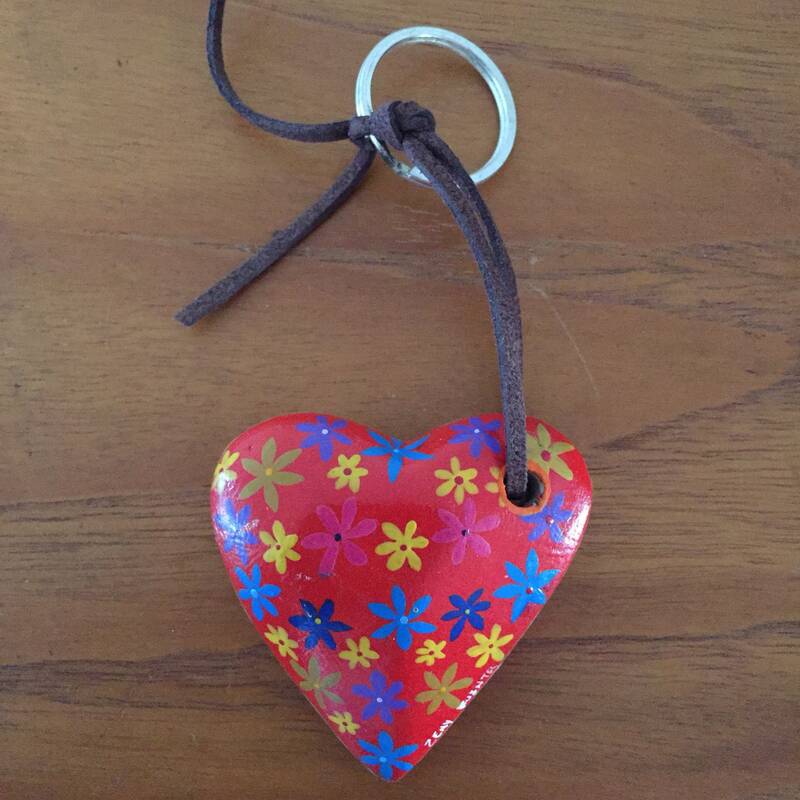 Approximately 5" long. 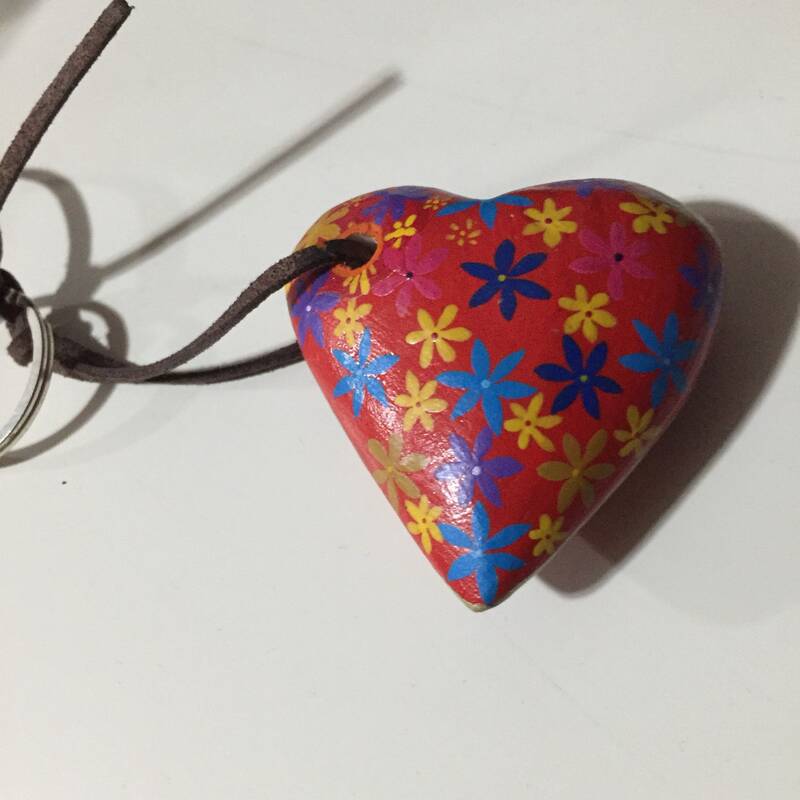 The heart is 2 1/2" wide by 2 1/2” high by 1/2” depth. 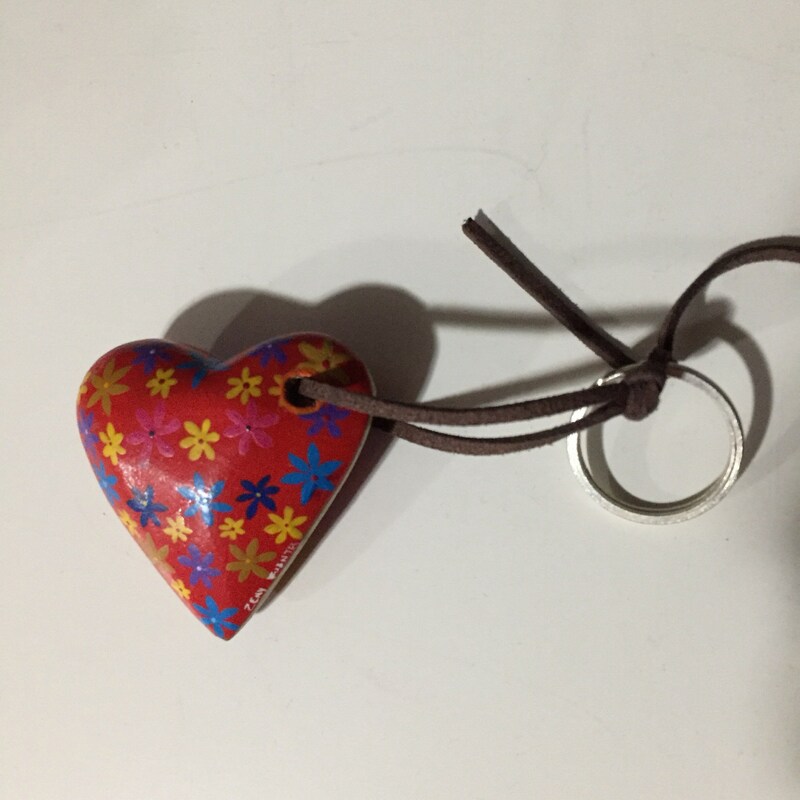 Leather strap and key ring.